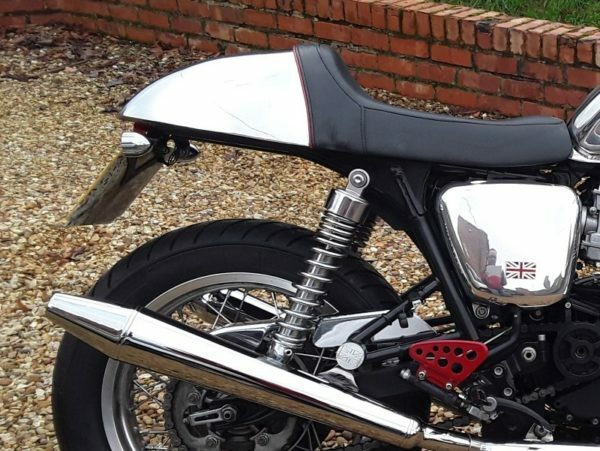 This is a complete set unit for the 900cc Hinckley Thruxton and Bonnevilles. 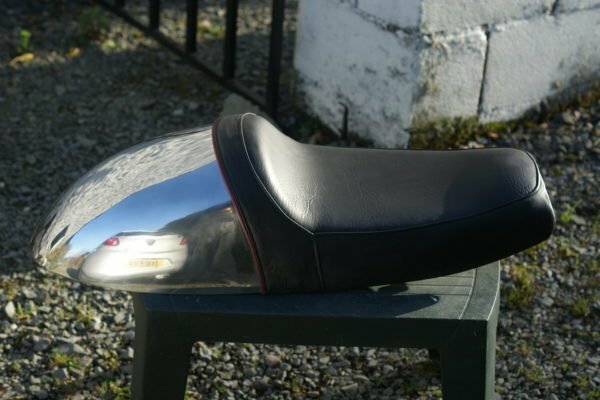 This seat has a plastic base with our very own bespoke alloy hump fitted and can be upholstered with Vinyl or suede effect. 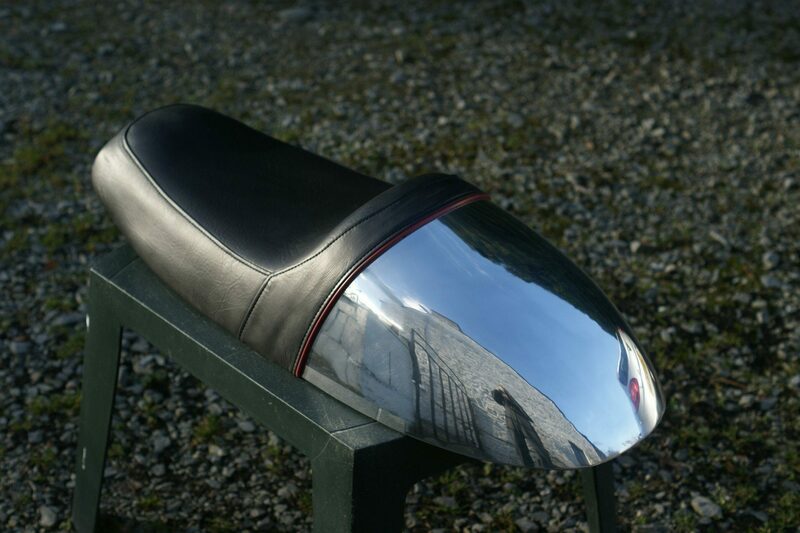 This is a "bolt on" seat that requires no modifications to your frame and will fit both the Carb or EFI versions. 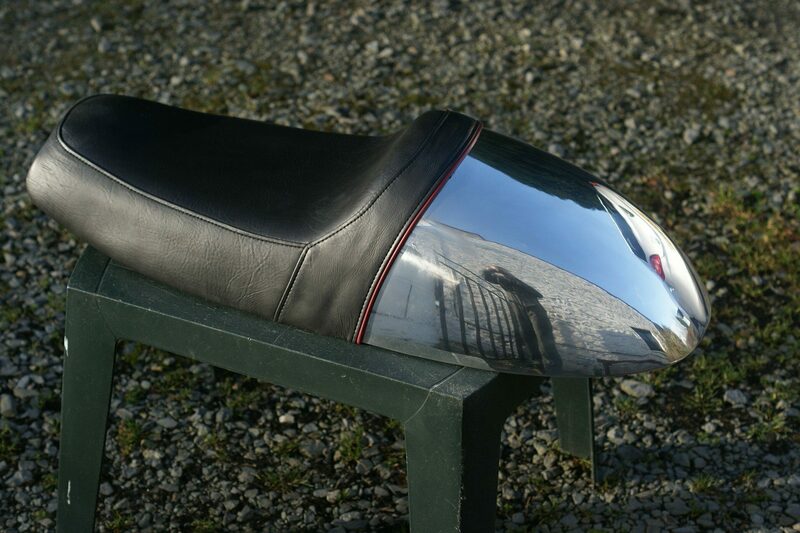 This seat is available full size to fit with the stock tank or we can cut it down to size to fit one of our range of Triumph tanks.